At ReForm, we are developing a new prosthetic socket technology which makes wearing a prosthetic leg more comfortable and enables amputees around the world to walk independently. Our solution streamlines the socket fabrication process and puts the control of socket fit into the hands of amputees. Madalyn, founder and CEO of ReForm, was introduced to this work while in South Africa designing a lower limb prosthetic socket for people in low resource areas. 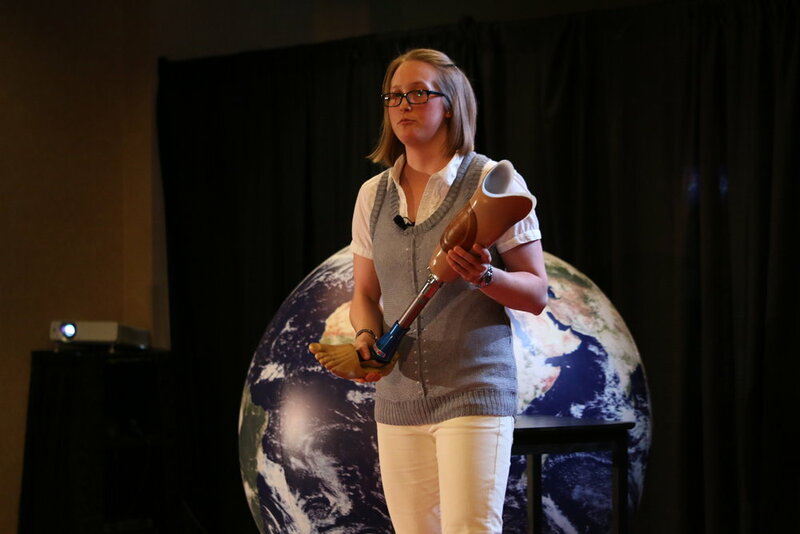 She worked closely with prosthetists to build and test different prototype designs. Her experiences in South Africa have inspired her to lead the commercialization of this high impact technology. In April 2016 Madalyn gave a TEDxCU talk to share her story from South Africa with a wider audience. She also competed in The New Venture Challenge (NVC) at CU in April 2017. She and her team won several awards including the Women’s Entrepreneurship Prize, the Social Impact Prize and the R&D Track Finals. They were the runners up at the NVC Championship event and won the Audience Choice award. During the summer of 2017 Madalyn participated in the Catalyze CU accelerator program and has continued to build relationships with mentors and expand her network within the prosthetic technology community.